Set on a steep hillside falling away from the road, with the residence elevated on timber stumps and battens at the rear, the new owners of this Bardon Queenslander saw an opportunity to renovate and create added living space underneath the home. 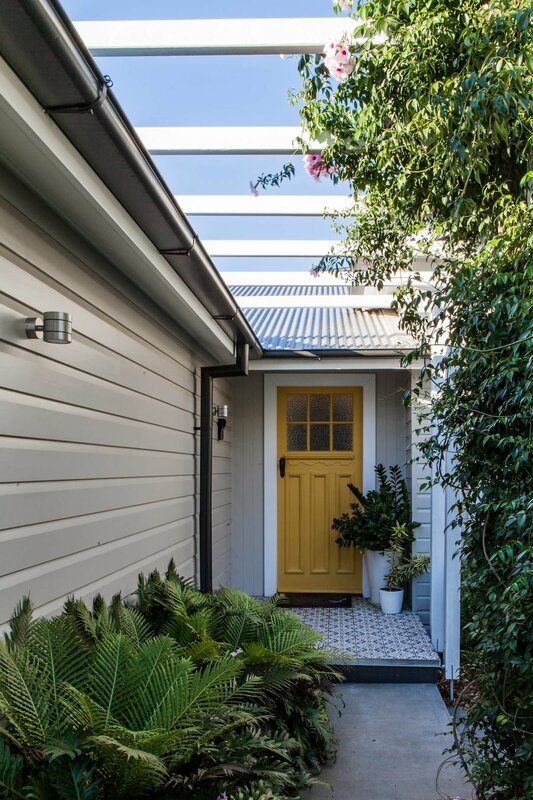 Being in a character area, it was important for Guymer Bailey Architects to maintain the Queenslander look to the front of the property while still allowing a modern feel to the new extension that complements the original character of the home. The new lower level opens out to the north facing backyard and infinity edge pool and includes a kitchen, family and dining area, laundry, spare bedroom and glass fronted wine room. 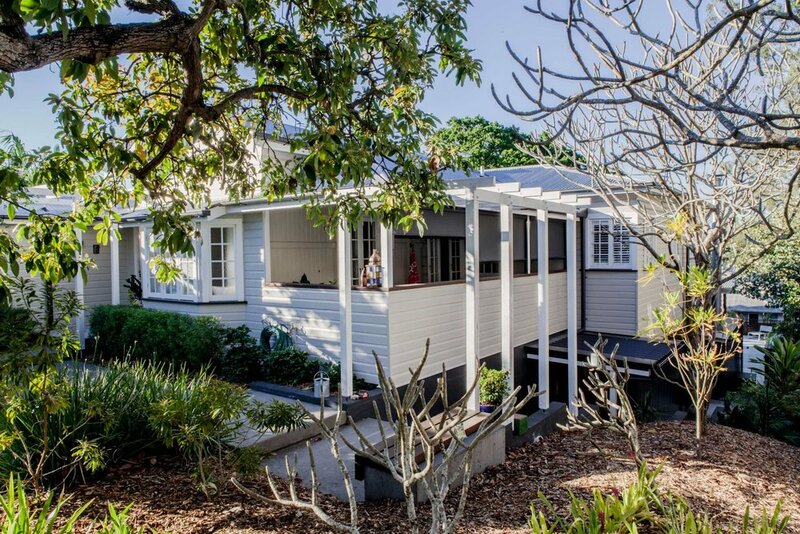 The upper level featuring bedrooms and a family room has been designed as a restored Queenslander with built in verandahs opened up to capture the excellent views to the north and northeast. A carport and entry pergola has also been added. 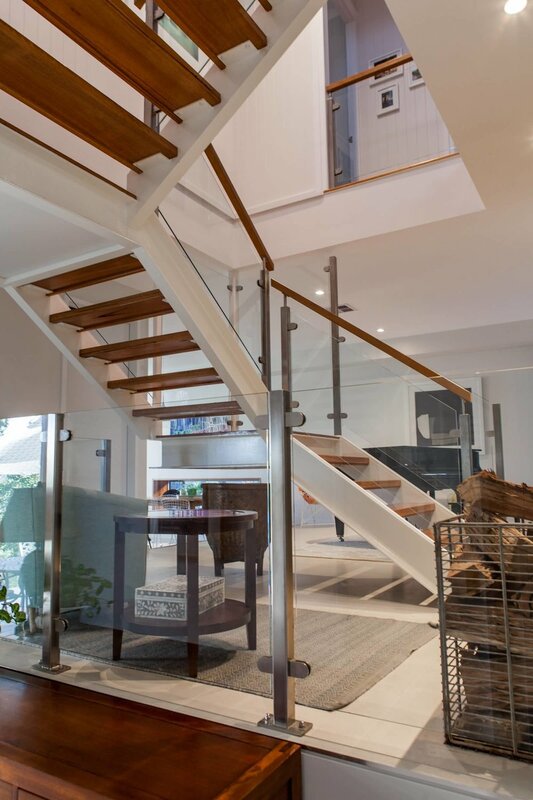 In the centre of the house, a steel framed timber staircase with a skylight connects the upper level with the new downstairs living areas seamlessly merging the old with the new. Guymer Bailey Landscape designed the gardens and pool, retaining a large fig tree for shade in the back and a large fruitful avocado tree in the front yard.